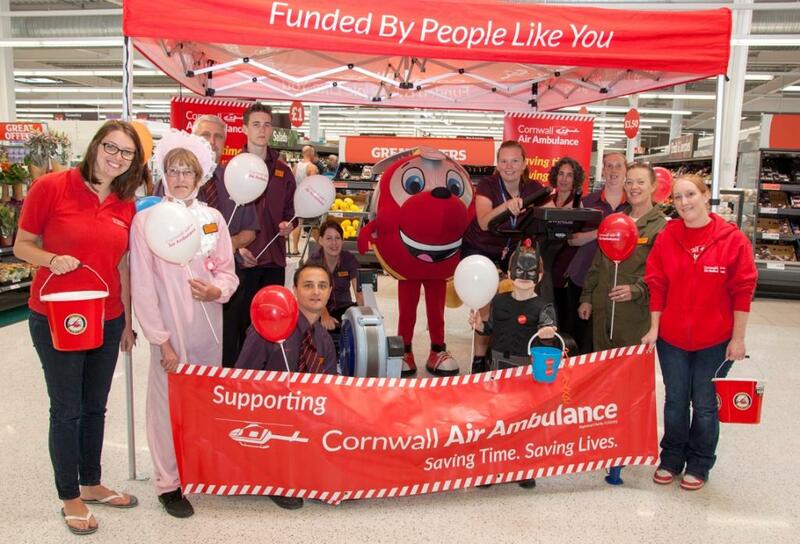 Hundreds of hours worth of life-saving helicopter missions will be able to be funded thanks to Sainsbury’s Penzance choosing Cornwall Air Ambulance Trust as its Charity of the Year for 2015. The launch event took place last weekend, with a number of fundraising activities at the Penzance store. Sainsbury’s Penzance’s store manager, Steve Moine, said: “We are really looking forward to working with the Cornwall Air Ambulance Trust over the next year. The team have some great ideas for fundraising. A Donation Station will be placed in the store foyer for a 12-month period for Penzance residents and Sainsbury’s customers to donate their good quality, unwanted items. Head of fundraising for the Cornwall Air Ambulance Trust, Susie Smith, added: “We are absolutely over the moon to be chosen as Sainsbury’s Penzance’s charity of the year. “Corporate fundraising partnerships like this are instrumental in raising the £3 million we need each year keep our vital emergency helicopters flying and we are so grateful to Sainsbury’s Penzance for the support. The Cornwall Air Ambulance landed in Penzance 15 times in 2014. It takes the helicopter only 11 minutes to reach Treliske from the town, whereas it could take over 40 minutes to reach Truro via road.